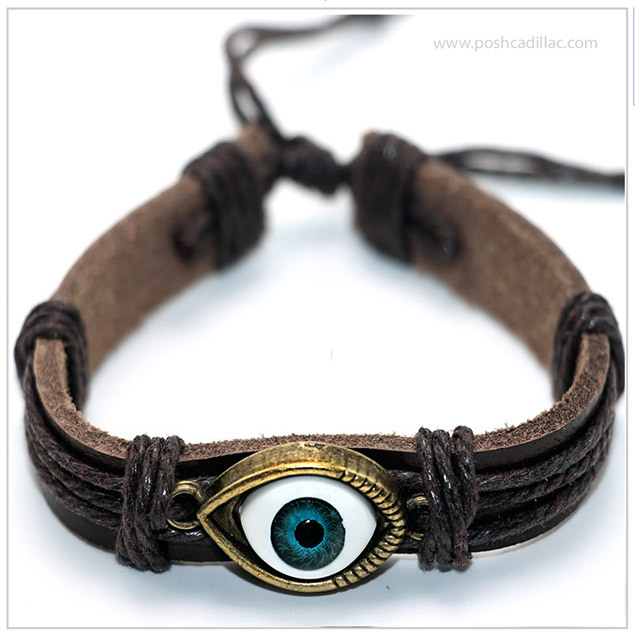 A very realistic approach of the ‘Eye Charm’ is this three diminutional eye design, attracting the glance as a real eye would, keeping away the evil/ bad/ jealous eyes. 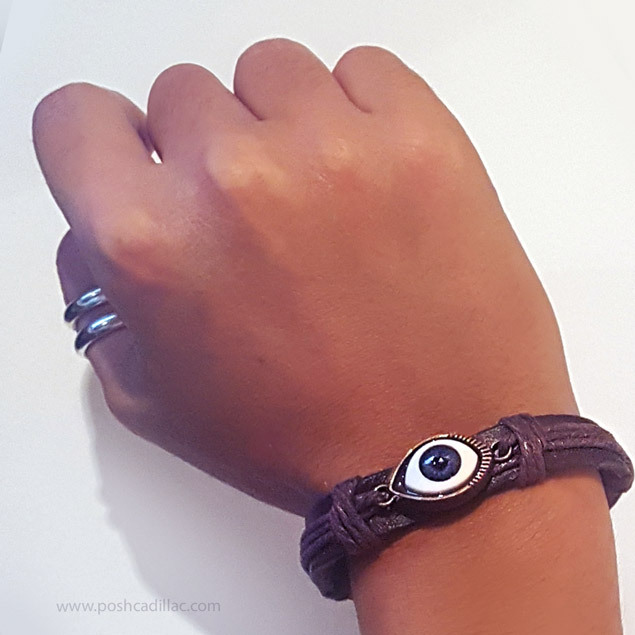 This modern fashionable approach to the ancient, ethnic symbol of the eye used as a protection charm is also believed to hold substantial power in most of the ancient civilizations, such as the Egyptian, Persian, Babylonian among most Arabic cultures. The good luck eye which is said to keep the evil, jealous eyes away and their negative energy on you to reverse to the one causing it. Easy to match for a casual look, adding just as much charm required all year through and a discrete stylish way to keep your good luck charm on you by making it a complementary fashion statement. 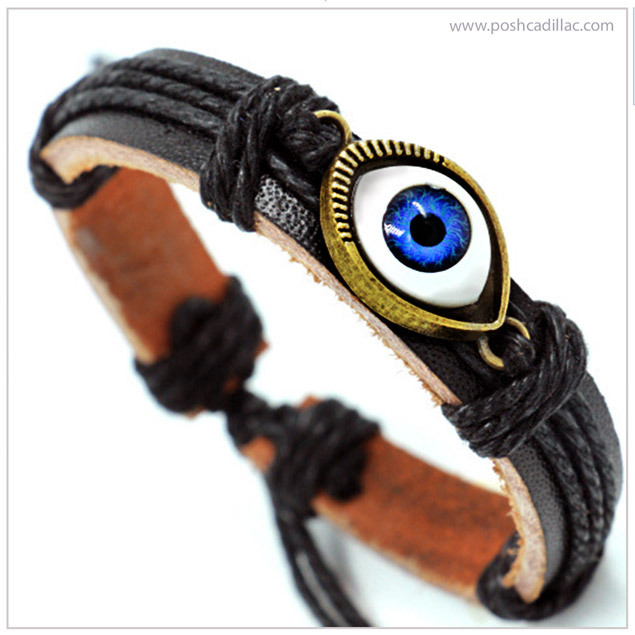 Unisex with an adjustable bracelet, makes for the ideal gift, and when gifted to your spouse, it can be worn by both.